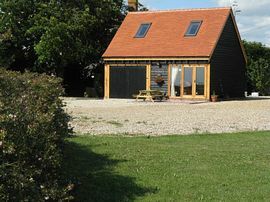 Built new in 2010 completed April 2011 to a very high standard, emulating an old style Cart lodge and situated on a farm next to a nature reserve. The views are beautiful over looking the Colne estuary and wetlands, where barn owls can be seen hunting the meadow. most evenings. The property consits of two bedrooms one with a double bed and one with two singles. 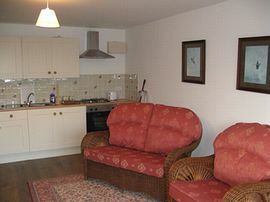 Downstairs there is a small fitted kitchen cooker/hob and fridge/freezer,microwave etc. A farm house style pine table with four chairs is also included for cosy evening dinners. 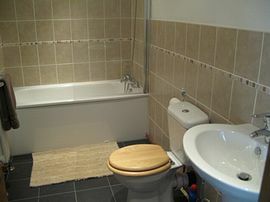 A bathroom with all facilities including bath-shower low level WC heated towel rail etc. A small lounge diner looks out over the country side through oak french doors, with a small patio area complete with wooden garden table/chairs; The lodge also comprises comfortable seating and a flat screen TV with a separate DVD player. Situated on a farm. Best views on the farm. Next to a nature reserve over looking the Colne estuary. Bird watching walking cycling sailing fishing freshwater and sea fishing, holiday for your horse with stabling and great riding. Local Services: Colne point nature reserve close by day passes avaliable, village shops, pubs and restaurants local bus services. 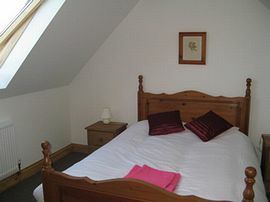 Tariff from: £295 per week Low season to £495 per week High season. 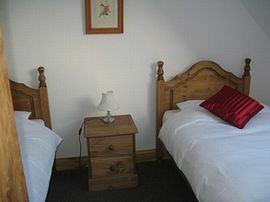 Day rates avaliable £100 up to four persons.